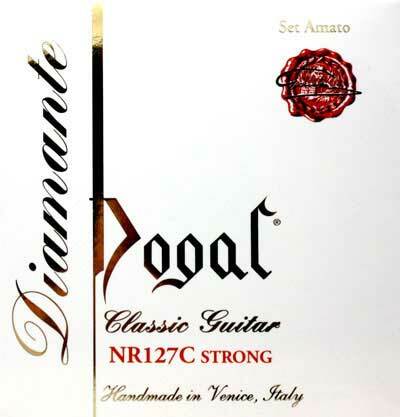 The Diamante strings feature two innovations to enhance sound quality. Firstly, special fibres have been added to the fine nylon used for the multiwire core of the bass strings and secondly, the nylon used for the monofilament treble strings has been enriched with carbon. The result os a bright but full bodied sound, clear response and rich overtones but with a well defined fundamental. In addition, the strings maintain their tuning so that one or more strings could be replaced immediately before recital wth complete confidence. The strings have a long durability. The trebles strings are made with monofilament rectified Carbon Nylon and bass strings are multifilament (Nylon/Carbon/Kevlar) with Supersilver copper winding to produce a well-rounded sound.